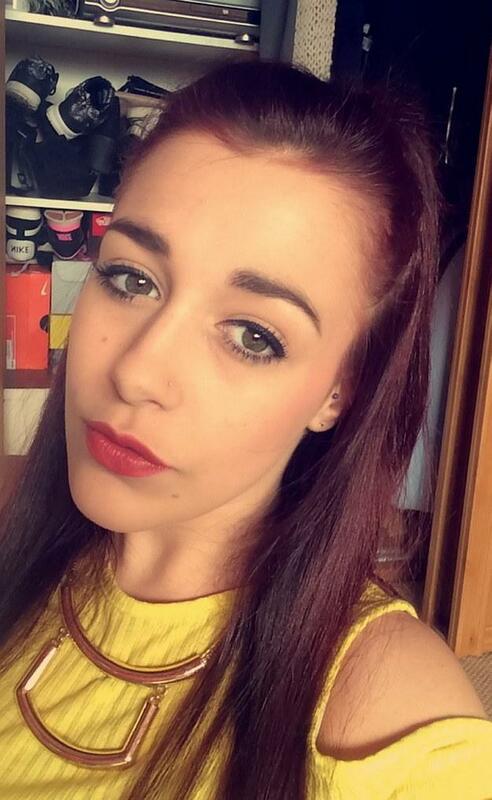 Polly Smith's a 19 year old UK performing arts student. 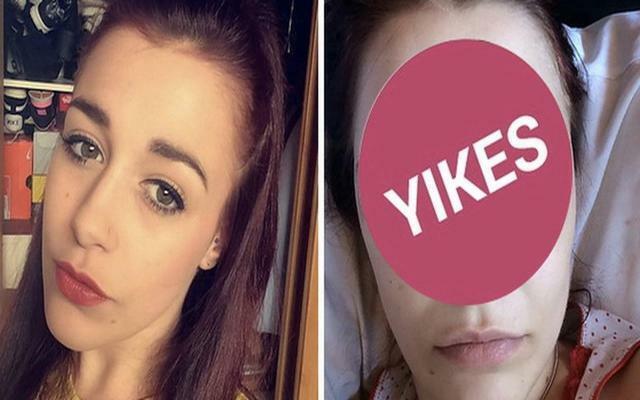 To give her eyebrows an edge over the competition, she tried out an HD Brow Treatment that's supposed to give women fuller and more beautiful brows. ...but ended up with this. Definitely not a look anyone is really going for. Unless you're getting a part in a horror movie. And it's not like Polly didn't do her due diligence before testing the procedure out. 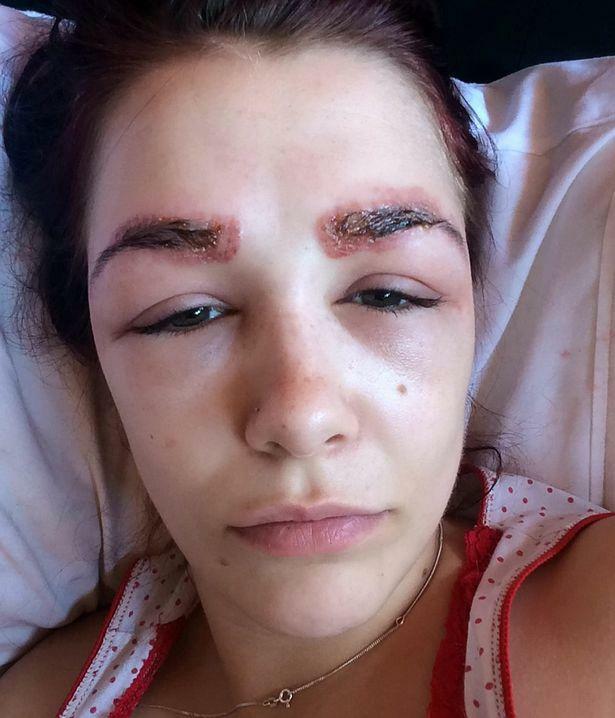 Two days prior to trying the treatment, she put allergy patches on her eyebrows, and had no problems. 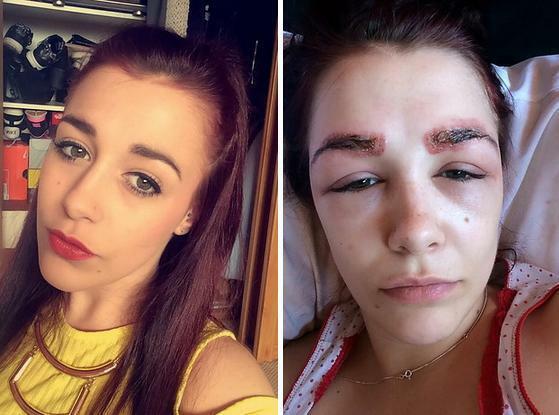 But the hair dye that was used in the treatment ended up scarring her something awful, and forced her to take a medley of antihistamines, steroids, and antibiotics. 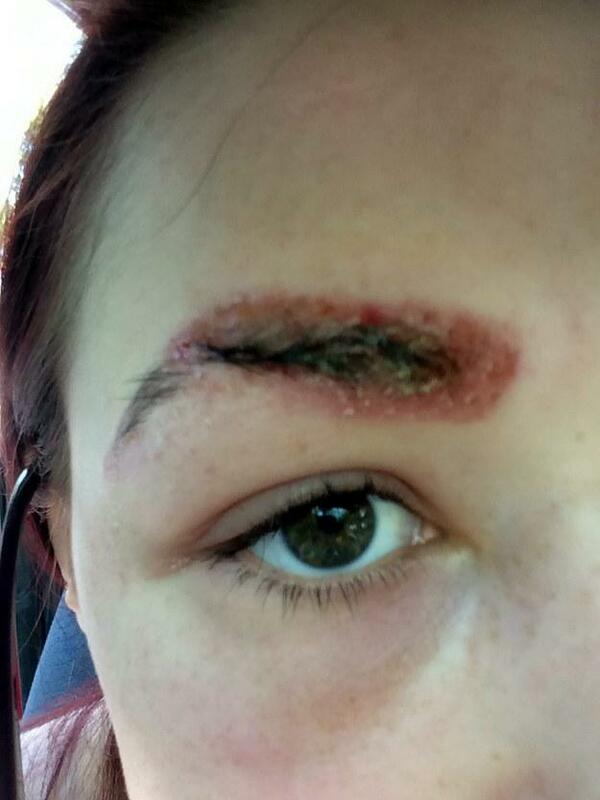 What's worse is that Smith said her eyebrows have begun falling out in patches now. "I had to hide away from everyone. It totally scabbed up and pulled lots of hairs out. 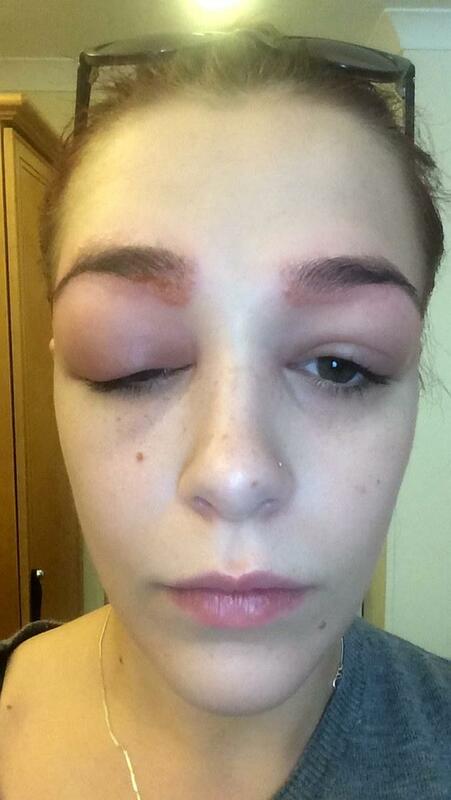 I had the treatment to get nice pretty eyebrows and now they are patchier than ever. I feel so disappointed." She said in an interview with The Mirror. The beauty salon offered Smith a full refund and cash to cover the cost of her medication, which is probably of little consolation to her. 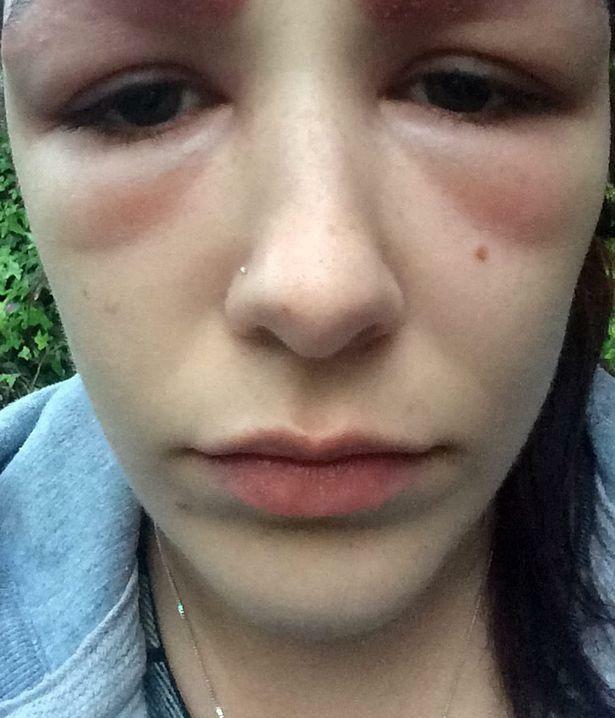 "Doctors have said I could be permanently scarred. Being a performer if my face is disfigured, it is going to impact me at auditions." she said in an interview with The Mirror.. "I don't think it is worth the risk." Definitely not, Polly. Here's to a speedy recovery.